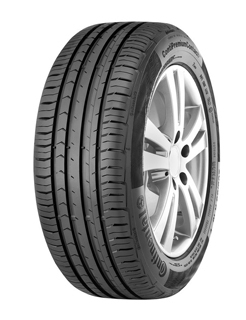 The Conti Premium Contact 5 is the new all-round premium tyre for vehicles in the compact, mid-size and full-size category. The tyre boasts extremely short braking distances on wet and dry roads, low rolling resistance, safe driving properties and comfortable handling characteristics. The optimised 3D edges allow for shorter braking distances on wet roads.